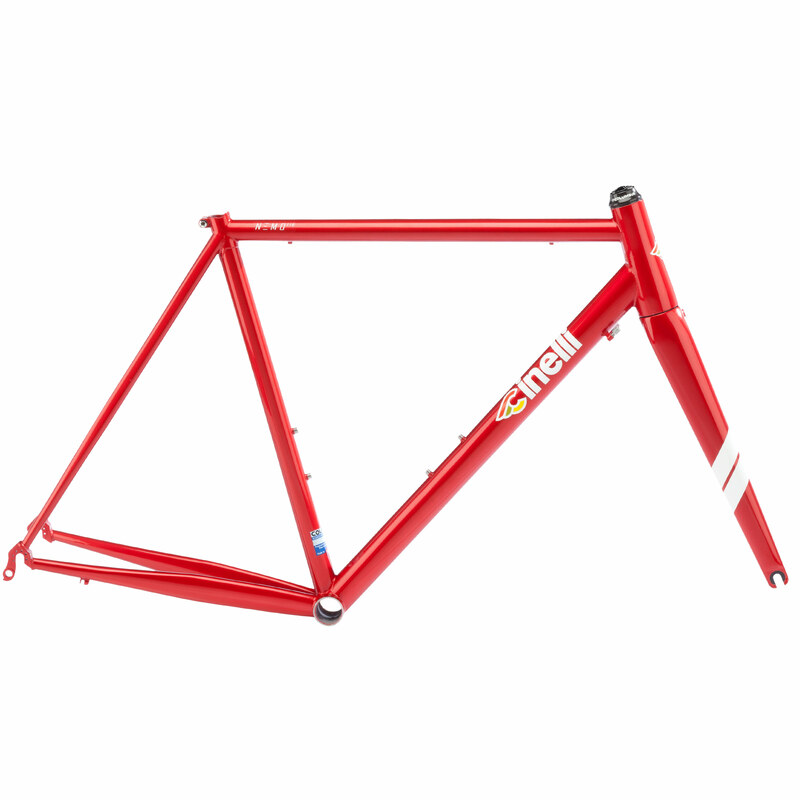 The Cinelli Nemo is contemporary like never before. Steel is back with this competition frame made from Columbus Spirit super oversized triple-butted steel tubes. The Tig welding technique enhances the possibility of making custom geometries and increases the frames stiffness. The Nemo’s tubes with integrated seat clamp connects the top & seat tubes to the rear stays at the ideal point for better stress distribution and strength for the frame. The 1.5″ tapered head tube with the Columbus monocoque FEL fork increases the reactivity of the frame and the handling of the bike. The new steel dropouts connect at the best angle for the rear stays, matching all the angles of the different sizes, offering an ideal weld surface of the stays avoiding any stress concentration.